One of a kind huge Royston sterling silver pendant. 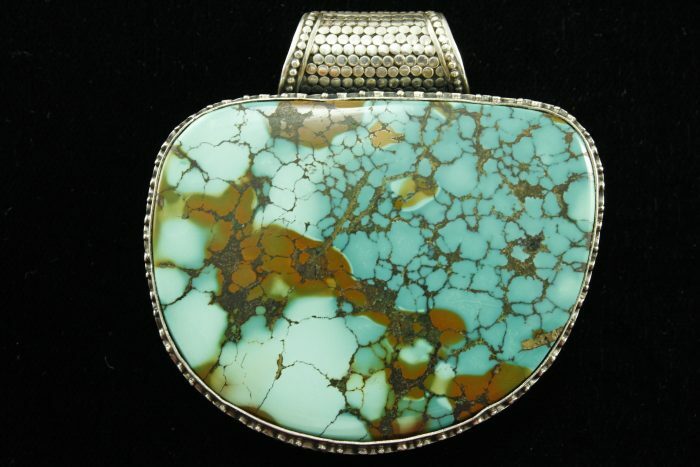 Turquoise stone with brown spider-webbing design. From the Lone Mountain are of Nevada. Pendant has a silver bale and bevel that is of a snake skin design. Marked 925 on the back.